I’ve seen this claim made—verbatim, repeatedly—over the years, whenever Italian-American defamation is being denounced: the pseudo-statistic that 99.9 percent of us are law-abiding citizens with no involvement or tolerance for organized criminal activities. In other words, we’re 99.9 percent pure, just like Ivory Soap, and just as legit as any other nationality, and any suggestion to the contrary is the worst kind of bigotry...... Today, I believe it is time to say this: Once, we were all gangsters. I’ve seen this claim made—verbatim, repeatedly—over the years, whenever Italian-American defamation is being denounced: the pseudo-statistic that 99.9 percent of us are law-abiding citizens with no involvement or tolerance for organized criminal activities. In other words, we’re 99.9 percent pure, just like Ivory Soap, and just as legit as any other nationality, and any suggestion to the contrary is the worst kind of bigotry. It comes to mind now only because a two-part, four-hour prime-time feel-good documentary, “The Italian Americans,” is airing on PBS, coming in the wake of similar public TV sops to Irish-, Jewish- and Latino-American pride. And you can be sure that at some point during those four hours, a claim very much like that touchy 99.9 percent boast, if not identical to it, will have been made. Well, let’s take a look. 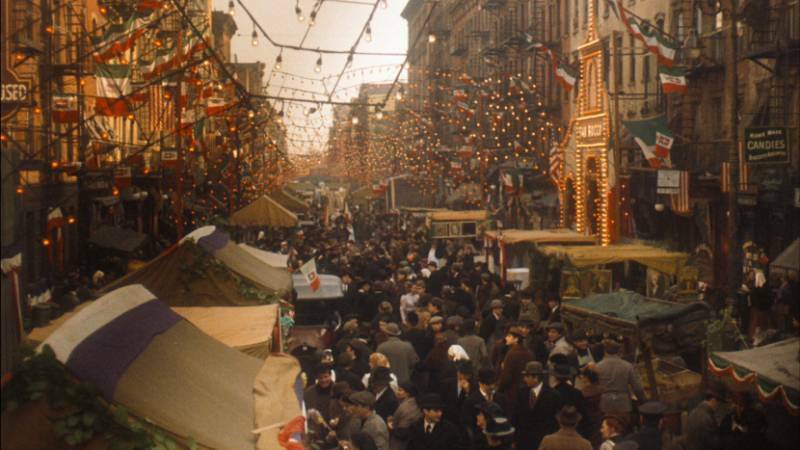 According to the 2010 Census, there are around 17,250,000 Italian Americans, and so if that 99.9 percent figure were accurate, we would be responsible for 17,250 mobsters—nothing to brag about even if you were inclined to be proud of such a thing. I can understand the need to deny the inconvenient truth back when Italian Americans were truly the victims of pernicious stereotype and prejudice. But to maintain the party line today just feels corny and stuck in the past. It seeks to falsify our roots, to deodorize us and render us tame and safe for children of all ages. Today, I believe it is time to say this: Once, we were all gangsters. OK, that’s a slight exaggeration. This is normally the place where the anti-defamation police would require me to state that 99.9 percent of Italian Americans are as law abiding and legit as anybody else. Except that’s not exactly true either. The truth is that in some fundamental way, we Italian Americans were all mafiosi, even those of us who never booked a number, loaned money at usurious rates, trafficked in stolen goods or committed the occasional businesslike murder. Because we didn’t automatically see anything wrong with those who did. We didn’t cast them out from decent society or banish them from Christmas eve dinner or shun them in the street. We didn’t turn up our noses. They were our next-door neighbors, our childhood friends, our cousins and uncles. They were us. We were all mafia in the original, historical sense of the word—meaning, mafia as attitude, as ethos, as world view, as subculture. The clannishness? The secrecy? The mistrust of authority? The smoldering rage at being poor and powerless and disrespected? It was as true for grandmas as it was for gangsters. There had been organized crime in America before us. Irish and Jewish gangsters came first. But they did the sensible thing and moved on up as soon as possible and left their dirty rackets behind. Dilettantes, in other words. Quitters. Not us. This thing of ours remained ours, for a variety of reasons having as much to do with the place we left behind as the one to which we came. And we non-criminals didn’t just suffer it in silence. We took part. At some point everybody had a hunch, and so everybody played a number. Or bet a game. Or, if you were strapped and nobody else would lend you money (this in the days before Visa had pre-approved everybody with a pulse), sought out the neighborhood loan shark. Swag? I still remember the family wedding where all males between 14 and 60 wore the same belted leisure suit (in varying colors), because my uncle had a connection to a shipment that came off a hijacked truck. (I got lucky, mine was black, meaning I had evaded mint green and burgundy.) Another time, our neighbor Sonny waved my father into his house, where the living room was crowded with metal racks filled with overcoats. My father didn’t really need one, but he bought anyway, because that’s what good neighbors do—the morality of Italian American neighborliness trumped whatever might be wrong about buying stolen goods. I still have that coat in my cellar, as a reminder. Of something. And all those $3-a-carton contraband cigarettes we enjoyed, the ones without a stamp on the bottom of the pack. My father and I and everybody else we knew went years without ever lighting a legally-taxed smoke. At Christmas time, those festive red and white cartons were under every tree. I tended bar at our neighborhood taproom, and every morning Monk the number writer would come by to begin his rounds. The daily illegal—“street”—number was revealed one digit at a time, computed and announced by some shadowy figure somewhere. At around 1 every afternoon, Monk would open the barroom door, lean in, and yell, “Billy, the first digit is three!” And then he would go on to his next stop, leaving me to spread the news to all who asked. (At some bars they’d just write the number on a blackboard.) Monk would stop by again twice more in the afternoon to announce the other two digits, and then to finally end his peripatetic workday and sit down for a beer and a shot of Canadian Mist. To steal Nick Tosches’ line, in our neighborhood there were many bookies but no books. My father’s family came from the Abruzzo region, where even today there’s no ingrained mafia presence, and so once they got here they remained more or less law-abiding (and poor). My mother’s mother’s family, however, came from Palermo, and perhaps not coincidentally we had several uncles and cousins involved in the organized crime conglomerate—small operators mostly, number writers and bookmakers and shylocks. But one of my mother’s cousins rose to a position of some prominence in South Philadelphia’s rackets back then, meaning he was a celebrity, our only one. He was handsome and charming and a famously sharp dresser with tons of suave and swagger, known by the nickname Pretty Boy. To my knowledge he never got involved in violence or executive gangster activity but was prized for his skills as an earner—he ran bookmaking and gambling operations, and used the income to finance other criminal enterprises. Or, so I have been able to piece together, because it’s not as though anybody ever talked about this stuff, especially to us kids. But we weren’t ashamed of him—we were proud. He was released from a short stay in federal prison just before another family wedding, and when he strolled into the hall, well—you would have thought Jerry Vale walked into the room. We were all crooked, and we were so crooked we didn’t know we were crooked. Had our cousin been a mugger, or a pervert, or a drug dealer, we would have taken a very dim view. But his brand of crime was just another facet of our way of life, part of what made us such a great community. That’s another reason Italians are so good at organized crime—we esteem sociability and loyalty, and are most at home in the group, the club, the team, the family, the gang. (It’s no coincidence that in Italian there’s no word for privacy—they had to steal the English one.) I feel sorry for my kids—they’ll never know what it’s like to play a street number or buy something that fell off a truck or sit on a neighborhood bar stool next to a very friendly very bad man, which also means they will never belong in the kind of insular, close-knit, nurturing, beautiful, suspicious, weird world that made me. But it’s no use crying. There are no more Italian American boxers either, you might have noticed, and for the same reason there are no more gangsters. There are easier ways to make a buck. That was always one of the great fallacies of the mafia legend—that the thugs were just dying to infiltrate legitimate institutions and corrupt them. Just the opposite was true: The smart gangsters wanted to make their pile and then to go into something legal and leave the outlaw life behind. It’s hard, anxious work being a criminal. The money is uncertain. The benefits are nonexistent. The legal fees are through the roof. And don’t even talk about job security. Way back in the ‘70s, two books, both by sociologists (and so, completely ignored outside academia), closely examined actual organized crime families and discovered that they tended to take their illegal gains and plow them into their “front” businesses, until finally the fronts threatened to replace the rackets altogether. Which is more or less where we all are now, which I guess is fine, although it’s also kind of sad, I don’t care what those PBS Italians think. Bill Tonelli is editor of The Italian American Reader (William Morrow Books, 2003). The Tales of Italian “Hardships and Triumphs While Battling Stereotypes and Myths"